Mid-February marked the launch of Alto’s Odyssey, a “sequel” to one of our favorite iOS games ever released. 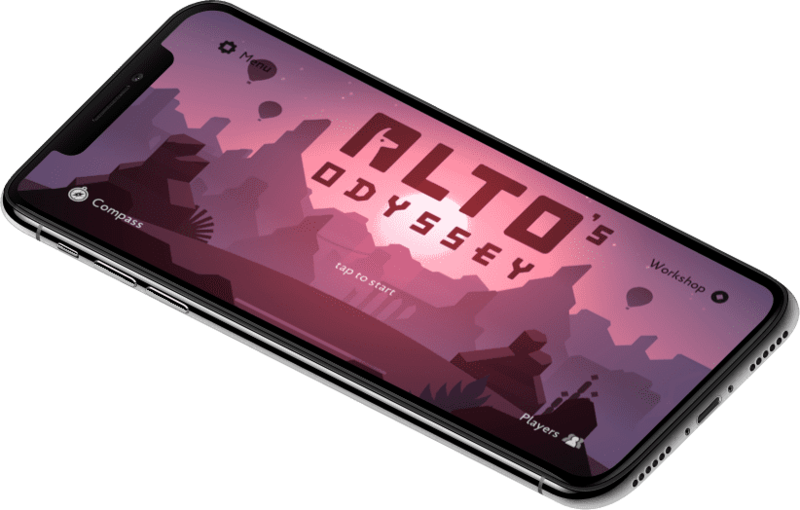 “Sequel” is inserted in quotations specifically, as Alto’s Odyssey requires neither knowledge nor skills developed in Alto’s Adventure to jump in and to enjoy the serene ride down the sandy slopes of Alto’s new world. Odyssey brings with it the same endless runner gameplay style of Adventure before it, but introduces a slew of new features — like wall riding, lemur chases, balloon bounces, vine grinding, and pot smashing — which force new and old players alike to master new ways to sandboard down the mountain. As players gain new skills and as they enjoy Odyssey’s Zen Mode (probably my favorite part of the game, especially with a good set of headphones), questions tend to evolve surrounding how Odyssey was made, where inspiration for the game comes from, and how Team Alto struck such a perfect balance between serenity and addictiveness. Needless to say, the following Q&A isn’t exclusive, but we hoped to put a few spins on our questions to give this Q&A a Sweet Setup feel. 1. What were some major challenges you faced during Odyssey’s development? There’s a lot more going in in this game – the number of game assets has more than tripled, and there’s much more variety of gameplay. In procedurally generated game, that can translate very quickly into chaos, so we’ve spent a huge part of the development process trying to tame that chaos, while still allowing things to interact in interesting ways. When making a game, it’s tempting to look at the finished product and forget about all the bumps along the way. We definitely had some funny and notable bugs come up making Alto’s Odyssey. There was a time when switching characters on the title screen would result in any new character you chose becoming badly deformed, with some even losing their full lower halves. Our wildlife also took a long time to tame. For much of the early part of development, the fish players will see swimming in water pools would aggressively float around in the sky. Meanwhile, the lemurs that dot the landscape would often go fully prone without warning, and move along the ground rigidly as if they were frozen. In reality, a lot of what a game is comes together in the home stretch! 2. Where does your inspiration for Alto’s Adventure (and now Odyssey) come from? For us, the Alto series is much more about capturing a feeling than it is about recreating a high-fidelity extreme sports experience. Rather than a game about snowboarding, Alto’s Adventure was always meant to be a game about the feeling of being on the mountain. The coziness, calm, and comfort you get from being in somewhere that feels like home, and the magic that comes from the beautiful things you see in nature. We deliberately focused on music, sound, and design that emphasized these things. Of course, Harry’s clean, colourful, minimalist art style reinforced this, making players feel as if they were careening through a painting, in a way. As you mention, Zen Mode is an attestation to this! When we heard from players that Alto’s Adventure was a game they used to relax, destress, and in some cases cope with things like illness, we challenged ourselves to push the game’s minimalist approach even further. We wanted to strip out anything that made it feel like a traditional game, and give players a mode where they could relax in a truly carefree environment. With Alto’s Odyssey, we deliberately set out to capture a different set of feelings that mirrored many of our own lives since the release of Adventure. We had all experienced personal upheaval, change, and in some cases moved away from the places we once called home. We wanted to make a game about coming to terms with the idea that “home” wasn’t necessarily a place, but instead the feeling of being with the people you care about. This is what led us, in many ways, to the grandeur of the game’s desert setting. However, even here, we still focused on maintaining the game’s core artistic and design principles of relaxation and calm. 3. What are some unexpected things you’ve learned in making games for the App Store? I think the biggest thing we’ve learned as a team is that making games always takes longer than you think. I think this is true of any art form – it’s just impossible to accurately predict how long certain things are going to take. And when you’re making something artful, you tend to have all kinds of ideas as you go – and it’s really hard to resist exploring them. This is quite a long story! The short version of it, is that we were about to embark on making our second productivity/utility app, when the designer (Marcelo Marfil) realized that the UI he had designed reminded him of that physical toy from the ‘80s called Simon. It started off as a bit of a joke, but after chatting for a while we ended up deciding that it’d be really fun to try our hands at a game, and a really interesting idea to explore recreating a physical toy for a digital “soft” medium, where you weren’t constrained by physical restrictions. This was the story of how Circles came to be, which, in many ways, paved the way for Alto’s Adventure. Once we started working on Circles, I decided that if we were going to be making a game, I better learn the industry. As I wrote in my behind-the-scenes-blog post about Alto’s Adventure, inspiration struck and we decided to start working on another game, which ended up becoming Alto’s Adventure. Although Alto’s Adventure was our sixth app to launch on the App Store, it was actually the third that we stared working on. 5. 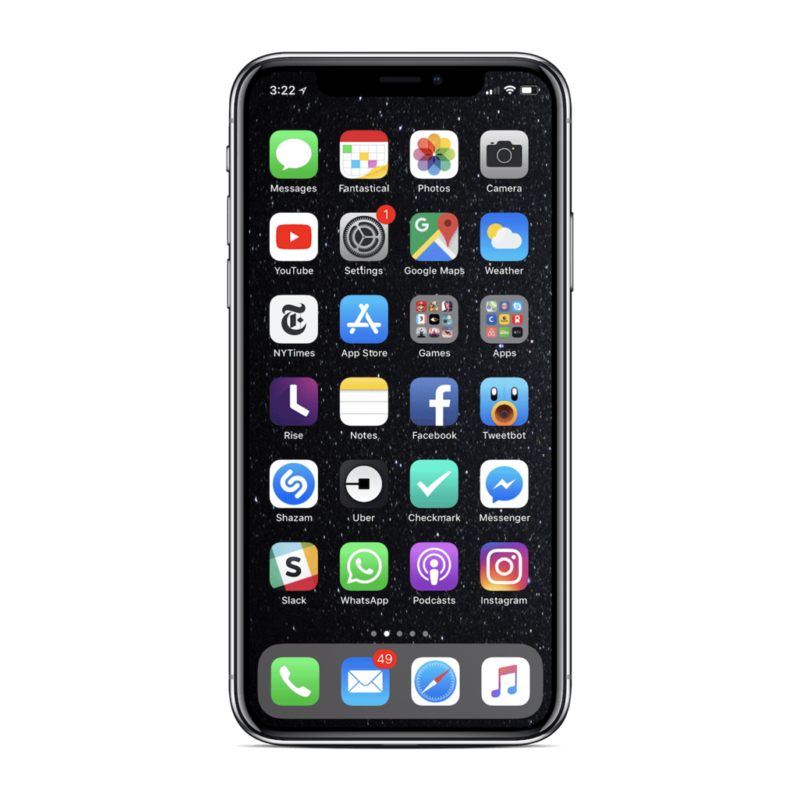 What are some of your favorite apps for iPhone/iPad/Mac? I don’t tend to use too many third party apps on my Mac. 6. What are some of the apps you use as a team/manage the team/manage projects the team is working on. Like many distributed teams, we do a lot of our central communication through Slack. It was very much our central hub through much of the project, both for core game development talk and launch discussions. We also managed a lot of our critical top-line tasks with Basecamp. However, as far as actual engineering goes, we managed the project through source control in the form of Github & Sourcetree, filing bugs to JIRA. On this last point, we spent some time upfront building custom tools that allowed our Alpha and Beta testers to send bugs into JIRA directly through a user-friendly UI in the game itself. It was a huge boon that resulted in us receiving a ton of actionable feedback. The game itself was made with Unity3D. 7. How have you dealt with the expectations for Odyssey in the months leading up to launch that came after Alto’s Adventure’s huge success? As with the first game, it was very important with this followup to capture a specific feeling. We spent a lot of time talking together and thinking about what emotions we might want to stir in players before really committing to development. We didn’t want to treat another Alto game like a foregone conclusion because of the success of the first title. Things really clicked when we reflected as a group on how much our lives had changed since the release of Alto’s Adventure. The team had grown, some of us had moved away from the homes we knew to live in other places, and we had all experienced big personal upheaval in different ways. What we arrived at was a desire to capture the feeling of going outside your comfort zone, exploring the unfamiliar, and accepting that the concept of “home” is related to the people close to you, not any one place. In many ways, this is what led us to grandeur of Alto’s Odyssey’s setting. 8. Adventure’s and Odyssey’s soundtrack is serene and an enjoyable listen all on its own. Where do you find inspiration for Odyssey’s score? And what types of tools do you use to create the games sound effects? We were so fortunate this time around to work with Todd Baker, UK-based composer and sound designer from projects such as Tearaway and Monument Valley 2, who composed the game’s central theme and designed the full suite of sounds. Todd is a spectacular and singular creative mind who had an immediate vision for Odyssey when he came on board. Todd’s music has a timeless quality that feels as if it could fit into any era, but which beautifully captures the grandeur of this new desert space. With regards to direction, it was very important to us this time around to deepen the score beyond a single, repeating track. Todd understood this right away, and thought to thematically represent the vast and ever changing procedurally generated landscape in his work. The game’s main theme sits in a non-standard time signature that is meant to feel fresh each time you hear it, always propelling forward to new places. Subtle cello variations in the game’s opening title screen give the sense of always finding yourself somewhere new and exciting.This extends to the sound effects, which go far beyond functional noises this time around. They have a musical quality that is meant to make players feel that even simple actions are a little magical – that you’re in a fantastical place far from home. 9. Can we see some of your sweet setups? Unfortunately we just recently setup an office and don’t really have any photos to share at the moment. 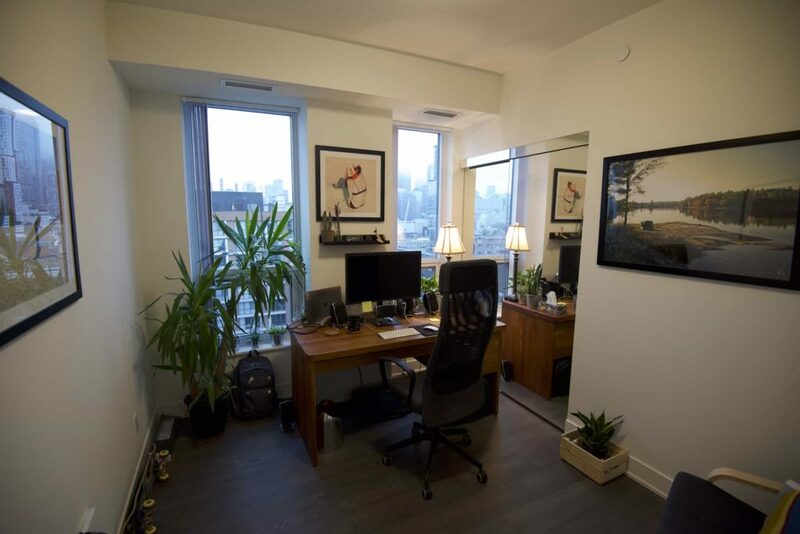 But I can share one of my home office! It too is in its early days, still kind of settling in. 10. Lastly, when can we get our hands on that soundtrack? As a thank you to our fans, we’ve worked with Todd to make the game’s main theme, “An Endless Desert,” available for listening online. However, we can say that the official soundtrack with Zen Mode (and perhaps even a bonus track!) will be available for streaming & download in the very near future. Thanks again to Ryan, Harry, Eli, Joe, and everyone else on Team Alto for not only answering our questions, but for developing one of the best games we’ve had a chance to play. You can find Alto’s Odyssey on the iOS App Store for $4.99 — a steal at triple the price.